With just over two months to go, it’s time to start formulating your Christmas decorating ideas or maybe time to look for a new Christmas Tree and for the best Christmas decorations in Brisbane, there’s only one spot to shop – VM+! We’ve just undergone a major showroom renovation in the lead up to Christmas and thought we would give you a little sneak peek behind the scenes of the Christmas visual merchandising magic all guests of VM+ and The Prop House get to see! Our showroom gives Christmas inspiration, an insight into the year’s decorating trends and also a look at how you can turn the trees, wreaths, garlands and decorations you can buy from VM+ and turn them into a Christmas visual masterpiece at home! 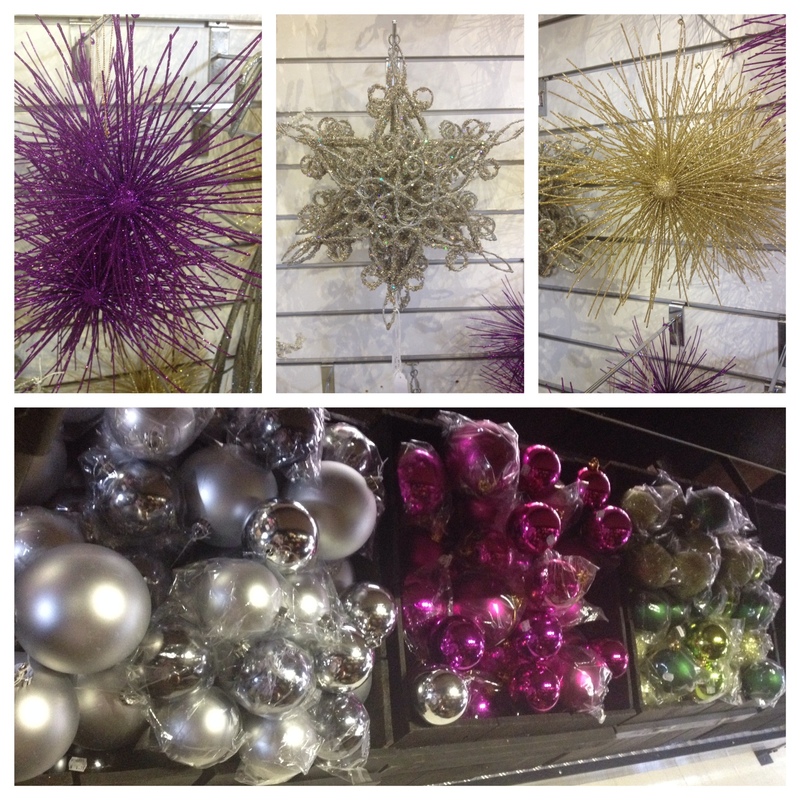 You can never have too many baubles, so we have walls of them! 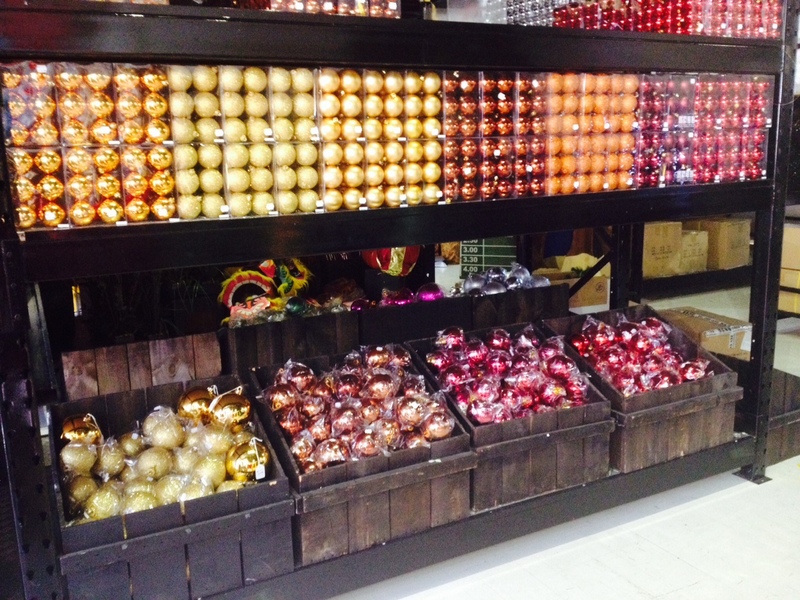 In a variety of colours, finishes and sizes, there is a bauble for every size tree and decorating colour scheme. For those who favour a traditionally decorated Christmas we have an abundance of golds, copper, brown and reds with shiny, matte and glitter finishes in different shades and measuring from tiny to giant! We have also got all the cool contemporary colours like silvers, greens and purples and this year’s trending colours of blues and pinks! Along with our walls of baubles we all have a solar system worth of stars in colours ranging from silver and gold to green and purple, these also come in a range of shapes, sizes and finishes from shiny to glitter! 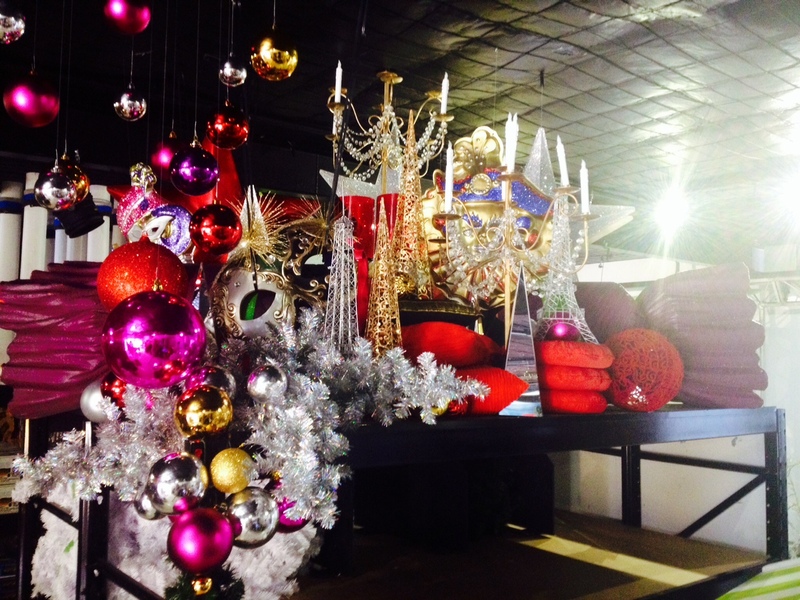 We also have multiple displays set up around the showroom to showcase Christmas inspiration and visual merchandising. These displays can be created in your home to add Christmas flair to areas other than where your tree sits, all you need is the right decorations! Hanging multi coloured and sized baubles from fishing line is an effective way to create a magical scene in the corner of a room. A cluster of baubles and stars intertwined into garlands or wreaths are also a beautiful way to bring Christmas to other parts of your home such as along a staircase balustrade or above doors. 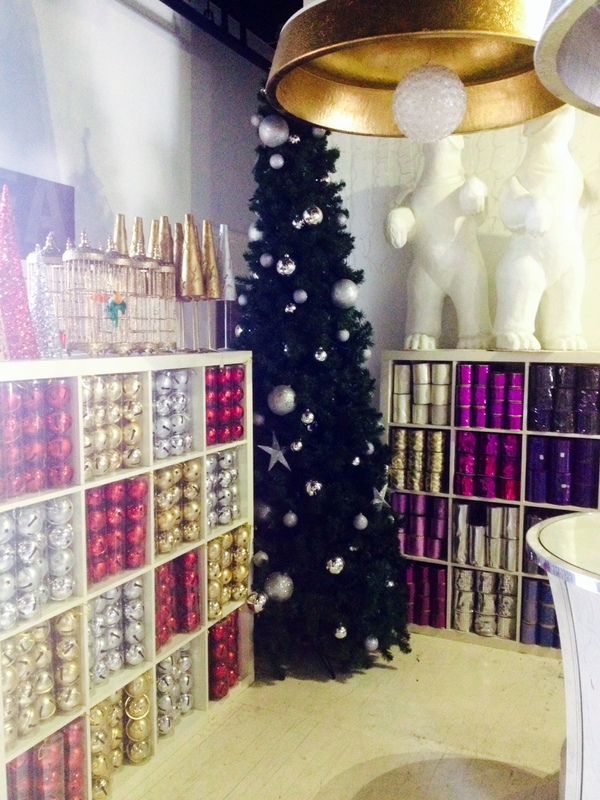 To see or purchase any of Brisbane’s best Christmas decorations and trees, for Christmas decorating ideas or how to create beautiful Christmas displays or visual merchandising please visit our showroom on the corner of Vulture st and Leopard st Wooloongabba, contact VM+ via phone: 07 3217 4500, email: info@vmplus.com.au or visit the website at: http://www.vmplus.com.au/index.html, or for some Christmas decorating inspiration please visit our Pinterest page.